Trinity Lake spring King trips! Trinity Kings are off the bottom and feeding in the top 40' of the water column. This 8 lb. King fell for a blue PLine sunrise squid tipped with Pautzke Fire Brine anchovy! Today we fished Trinity Lake and were targeting King salmon near the dam. We marked a lot of fish today, but like all the other lakes, the bite wanst red hot. We hooked several small Kokanee and I'm afraid we may be looking at a small Kokanee season on Trinity Lake this year. 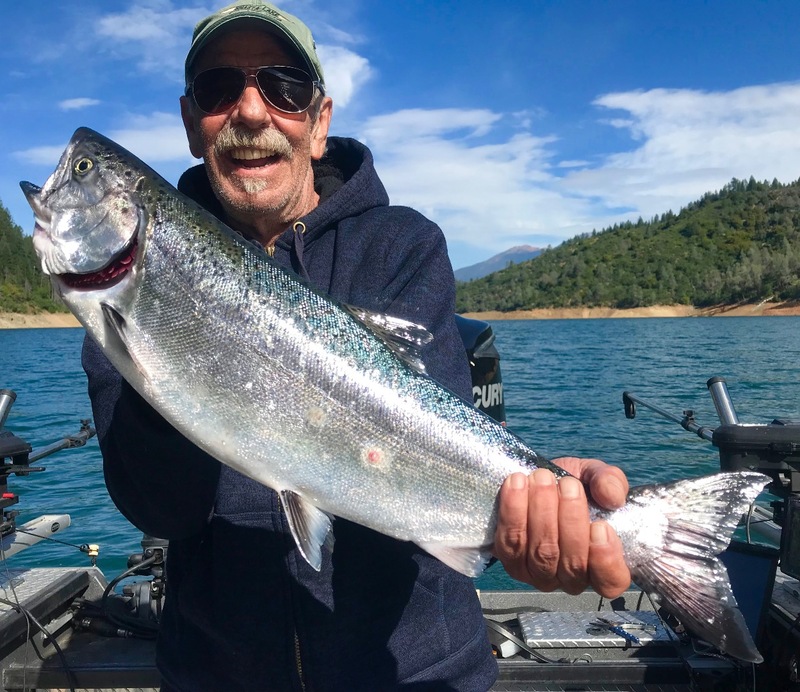 Time will tell, but the good news is that there are some nice King salmon available. We marked a bunch of Kings, had two or three takedowns, Lost one King at the boat and brought a nice 8 lb. King to the net. I'm looking forward to getting into some big Trinity Lake Kings this season! 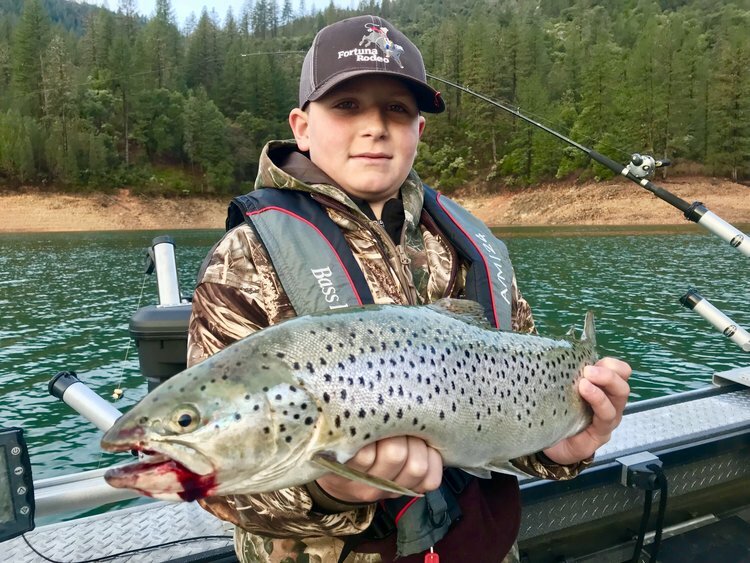 Its not a fast and furious fishery, but like the Shasta Lake brown trout fishery, its quality over quanity. I'll be running King salmon trips on Trinity Lake through summer so if this is a fishing opportunity you are interested in, please give me a call or shoot me a message to get your day of King salmon fishing reserved. Thank you!